Drawing from our extensive global network of more than 50 of vendor relationships and our own collection of maps and digital geospatial data, we supply our customers with the latest paper, raster and vector bathymetric data, seafloor DEM modeling, training charts and publications with multiple database options conforming to any standard or custom requirements. We are a certified print-on-demand partner for naval and nautical agencies worldwide. 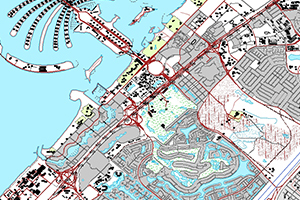 As a certified print-on-demand partner, we deliver the latest versions of nautical charts in a variety of paper options from agencies such as NOAA, SHOM, SEMAR, CHS, LINZ, and NHZ. Our ability to source domestic and foreign charts ensure sailors have accurate charts, notice-to-mariners, chart catalogs, and list of lights from across the world. Available in a variety of formats, . East View Geospatial offers a full array of hydrographic products including nautical charts (port charts, coastal charts, sailing charts), hydrographic charts, and bathymetric charts of all of the world’s oceans.